Following the completion of a Barral VM class, you will be eligible to participate in a Barral Institute-sanctioned on-line forum to ask questions and share feedback with other BI therapists. This is a great way for you to stay connected with other practitioners to share your questions and thoughts about case studies, patients, techniques, etc. If you would like to join, please send an email to the address below. In order to be accepted to this private group, be sure to include when, where and with whom you trained with in BI Visceral Manipulation. You will then receive an email with the instructions on how to join the group. Jean-Pierre Barral is a Diplomate of Osteopathy, a Member of the Registre des Ostéopathes de France, and a Physical Therapist. He is the Developer of the manual therapy he calls Visceral Manipulation (VM). Through his clinical work with thousands of patients, he created this modality based on organ-specific fascial mobilization. And through work in a dissection lab, he was able to experiment with VM techniques and see the internal effects of the manipulations. He served as Chairman of the International College of Osteopathy at St. Etienne, France. He was also on the faculty of Médecine de Paris Nord - Université Paris Nord. While on faculty, he was the Chief of the Visceral Manipulation Department—the first time in the world that a VM therapist was part of a medical faculty. Based on his later clinical work, Jean-Pierre Barral developed additional modalities—Visceral Vascular Manipulation, Nerve Manipulation, and New Manual Articular Approach—in collaboration with Alain Croibier, D.O. TIME Magazine, citing his development of Visceral Manipulation, named Jean-Pierre Barral, DO one of the Top Healing Innovators to watch in the new millennium. Jean-Pierre states, even after more than 40 years of research and working with patients, as well as educating tens of thousands of therapists around the world, "we know so little; only the tissues know." We can think as therapists we know what to do to help a patient, but it is only when we put our hands on the person, that the tissues then show us what is needed. Barral holds the title of Curriculum Developer for the Barral Institute. 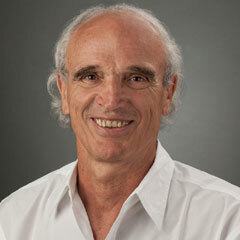 Barral took the modalities and developed them into various manual therapy courses, which he has taught since 1985. Barral has trained and certified a team of International Teachers who also instruct these courses around the world. We also should not forget that we have a responsibility toward our patients, which should motivate us to work more and study harder every day. We may be lauded for our successes and forgiven for our varoius failures, but there is no excuse for letting a serious disorder go by unnoticed during our treatments. We currently do not have seminars in this country. If you are interested in bringing our seminars to your area, please contact Dawn Langnes Shear at dawn.langnes@iahe.com. We currently do not have seminars scheduled in Colombia. If you are interested in seminars in this area, please contact Dawn Langnes Shear at dawn.langnes@iahe.com. If you are interested in Barral seminars in India, please contact our Sponsor. Barral Institute and Upledger Institute Sponsor India. If you are interested in seminars in Sweden, please email Kaare Nielsen, DO, PT at kaare@osteopater.dk. Kaare is the Director of the Barral Institute in Denmark, as well as an International Instructor for the Barral Institute. He is coordinating seminars in Sweden, as well as Denmark. If you are interested in being a Sponsor for Barral Seminars in Switzerland, please contact Dawn Langnes Shear at dawn.langnes@iahe.com.